Did you know? The louisiana Purchase is a directly linked to the Haitan Revolution of 1803. 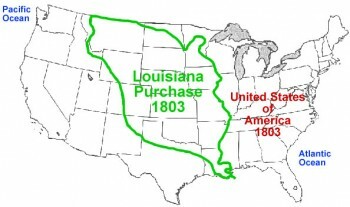 Here is a map of all the states and provinces included in the Louisana purchase. It is more than just Louisiana.